John Charnes, PhD, MBA, is President of the Risk Analytics and Predictive Intelligence Division (RAPID) of Syntelli Solutions Inc. Prior to this, he was finance department chair at the University of Kansas and senior vice president of global portfolio strategies at Bank of America. 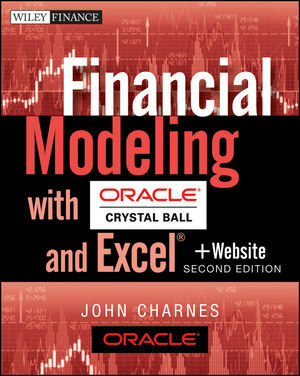 Charnes created the Crystal Ball Training CD, a multimedia course on the basic elements of stochastic modeling with Crystal Ball, acquired by Oracle. His specialty is the application of computer simulation and statistical methods for identifying and solving business problems, including the use of simulation for option pricing and hedging with derivatives to comply with Financial Accounting Standard (FAS) 133.